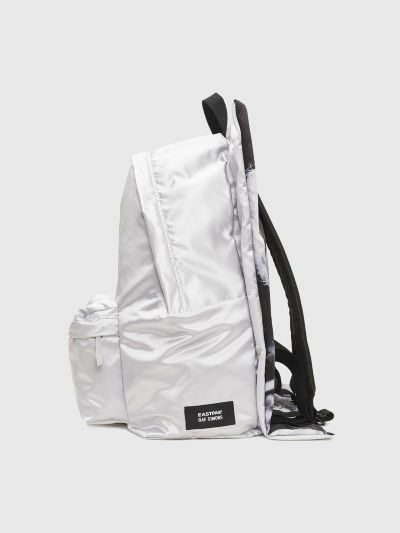 Back pack from Raf Simons x Eastpak. Quadrangle shaped back with poster motif. 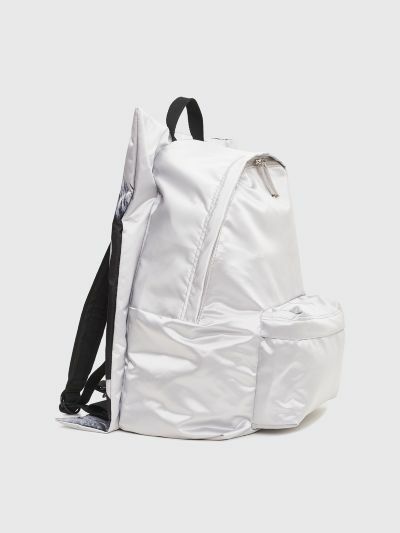 Classic backpack shape on the front with one zippered main compartment and one zippered exterior pocket. 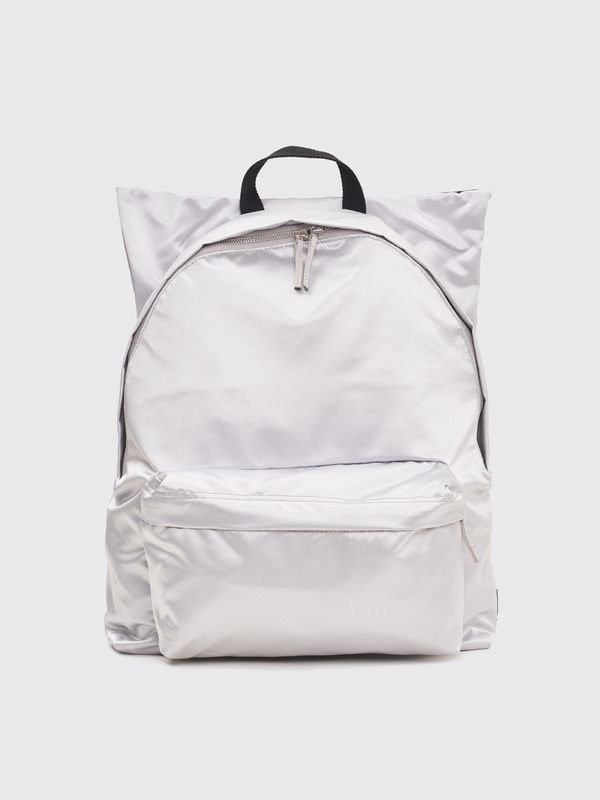 Features one zippered inner compartment and one padded compartment with room for a laptop or similar. Padded and adjustable shoulder straps. Co-branded label on the front. 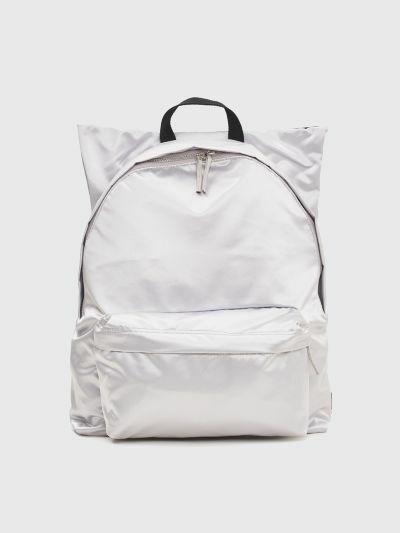 Silver colored and black backpack. Made from 100% polyester. Measures 41 x 56 centimeters.